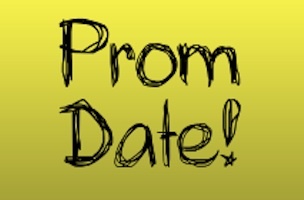 Looking for your date to Nerd Prom? It’s never to early to start! And Keeping Up With The Kardashians’ Jonathan Cheban isn’t a bad ask. Especially if you’re also looking to score past year’s popular guests Kim Kardashian and Kris Jenner. 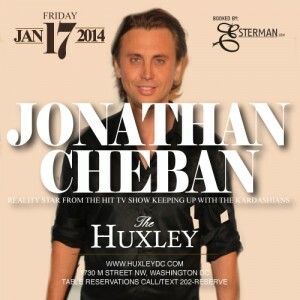 Kim K bestie Cheban will host a night at The Huxley (1730 M St. NW) Friday, Jan. 17. Our guess is he’ll at least consider your invitations to this year’s White House Correspondents’ Dinner. In addition to his appearances on KUWTK, he recently appeared on Bravo’s seventh season of Millionaire Matchmaker and this past November, co-hosted Coca-Cola Red Carpet LIVE!, a pre-show to the 2013 American Music Awards. As for The Huxley, this isn’t the first time celebs have walked through its doors. Owners Ryan Seelbach and Eric Lund have also attracted Lebron James, Michael Phelps, and Lil Jon, among others, to their venue as well as hosted private events for HBO, GQ Magazine, Comcast/NBCUniversal, and Clear Channel. To reserve your table, call 202.737.3783. Fingers crossed Jonathan says yes!